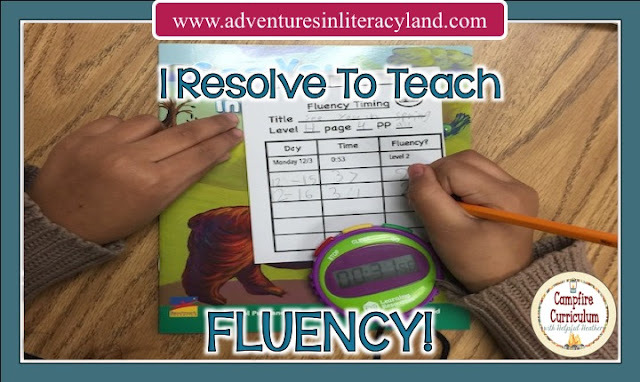 I Resolve To Teach Fluency! Hi! This is Heather from Campfire Curriculum with Helpful Heather. No matter how well we teach reading some students still struggle with fluency! Wouldn't you like to have fluency goals in your room that engage the students in a fun and exciting way? 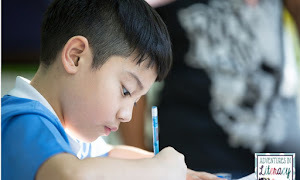 I have personally researched many ways of implementing fluency in a primary classroom and this one is awesome! Enjoy this post and then go out and buy yourself that well-deserved teacher gift for fluency! Happy holidays you wonderful teachers of reading! At about 4 years old, my daughter started to ask me if we were in a book. What an interesting question. At almost 8 years old, she continues to get lost in books, is constantly connecting personal experiences to events in books, and must be reminded often to close the book and brush her teeth! 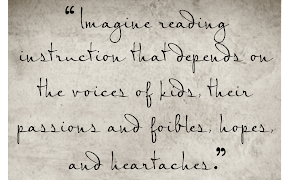 This love for books is something that we wish for all of our students. At Nerd Camp this year I met Minh Lê, the author of Let Me Finish. I realized this book was written for my daughter and all of the other children that we want to get "sucked" into books. This is Minh Lê's breakout book and my, oh, my...there is a lot that we (as teachers) can do with it! 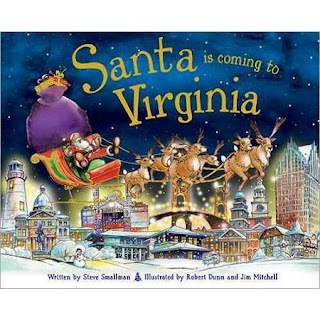 It's Jen from An Adventure in Literacy here today to share some state specific Christmas books. I'm featuring the Virginia books, but if you change the title to your state you can find most of the other states on Amazon. I've used these books in my classroom and they are always a hit. Students love recognizing local places they have been. This book is part of "The Twelve Days of Christmas in America" series. 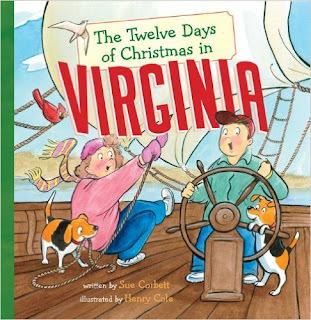 Each state book mirrors the 12 Days of Christmas...with a little state flair. In addition to being super books, most are written by local authors. Search Amazon for "The Twelve Days of Christmas in America" or insert your state in the title. Join Santa and his reindeer as they fly over famous state sites. You can find some regional versions of this book too. There is even a Santa is Coming to Washington DC to cover those patriotic symbols and monuments. Santa truly is everywhere! Search Amazon for your state. Wishing all book lovers across the country loads of holiday cheer! Hey there everyone! 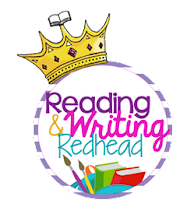 It's Bex from Reading and Writing Redhead. I am here today to share some ideas for Halloween themed literature you can use in the classroom, suggest to students for their library visits, or share with parents. And I wanted to be sure to cover books for students through at least elementary school or perhaps evening for middle schoolers! Of course we all know books for students of a certain age can be appreciated by much older or younger children too. Some of the books I read to second graders are aimed to much younger readers and some are advanced chapter books. So treat my age recommendations as just that- recommendations! If the books are new to you, read them yourself first before you decide what direction to go in with them. You can find these books at your local library or click for more information about each book before you decide. Lets check out some ideas for the very youngest of children up to about kindergarten. The Spooky Wheels on the Bus by Elizabeth Mills- The counting in this Halloween version of the famous book goes from One Spooky Bus to Ten Goofy Ghosts. Kids will be singing this one all month! 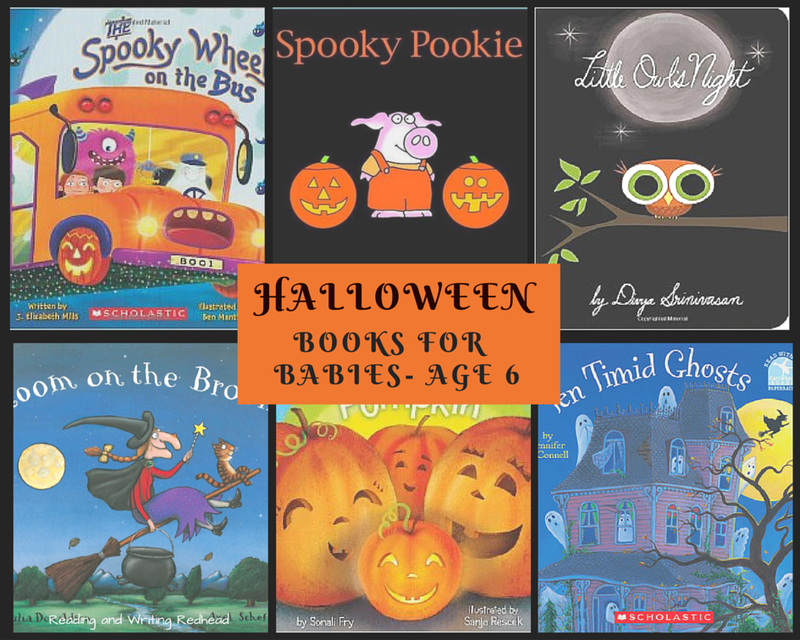 Spooky Pookie by Sandra Boynton- This cute book has Pookie the pig trying to choose a Halloween costume! Awesome for very young babes and preschoolers. Little Owl's Night by Divya Srinivasan - While this is not technically a Halloween book, lots of classes do owl units during October so I thought it deserved a mention. Its a cute twist on a bedtime story. Little Owl doesn't understand why anyone would want to miss the full moon. He ends up getting to sleep as the sun begins to rise. Great for babies-preschool. Room on the Broom by Julia Donaldson - this fun story includes a witch who loses her hat, then lets a bunch of friends on her broom one by one and has kids wonder if there will be room on the broom for anyone else. It would work for preschoolers- grade 2. The Itsy Bitsy Pumpkin by Sonali Fry is a cute little twist on the Itsy Bitsy Spider and would be great for preschoolers. Ten Timid Ghosts by Jennifer O'Connell - in this story a witch moves into a ghosts' house and has to scare them off one by one. It is also useful if you are trying to find a book to make some math connections. This one would probably be appropriate for preschoolers-grade one. Bone Soup by Cambria Evans is a tale of a little guy named Finnigin who is always hungry! He gets to a new town and no one will share their food with him. What will he do? If he stirs up a little magic, he must just create something good to eat. The Night Before Halloween by Natasha Wing - great for kindergarten, first and second graders, this book in the Night Before series will get kids excited for Halloween and as a teacher I love the rhyming text! Hallo-Weiner by Dav Pilkey is just awesome. I bought it back in 2007 and have taped and retaped it several times because the students can't seem to put it down. Its a cute story about a weiner dog who is teased for his costume but ends up saving the day (or Halloween night, actually). It appeals to kindergarteners-grade 2 or 3 I'd say. 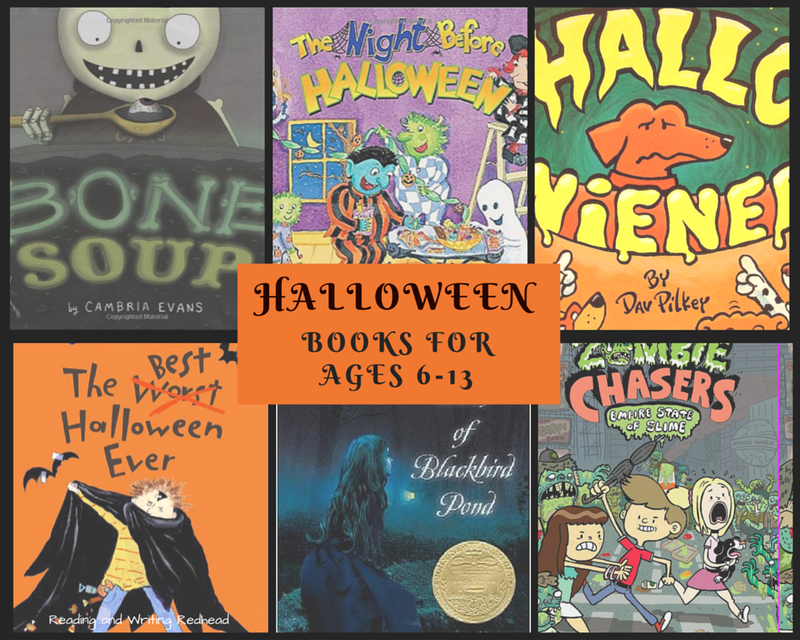 The Best Halloween Ever by Barbara Robinson- this is the author of the well-known books The Best School Year Ever and the Best Christmas Ever. In this story, the six Herdman siblings always ruin Halloween by stealing candy and stirring up trouble - until the mayor cancels Halloween! Can it be saved?! The Witch of Blackbird Pond by Elizabeth George Spears - a classic story that you probably already know. This is definitely for older children, perhaps ages 12-13+ and explores what would be like to be a young girl in the 1600's who is suspected of witchcraft. Zombie Chasers by John Kloepfer - Great for grades 5-7, this book combines silly and spooky as three kids try and deal with a zombie outbreak! 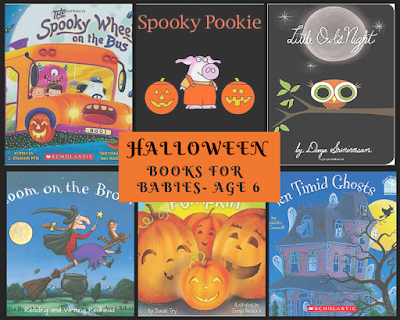 So what is your favorite Halloween book to read? Let us know in the comments below. 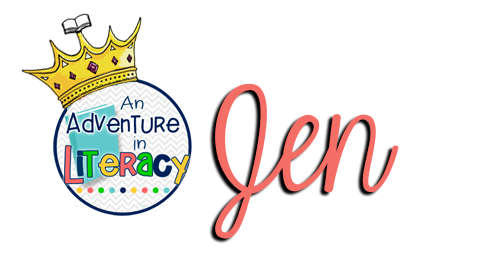 It's Jen from An Adventure in Literacy. I've spent the last three summers traveling coast to coast on cross country trips. One of the highlights of these trips is the opportunity to hit all of the national parks. 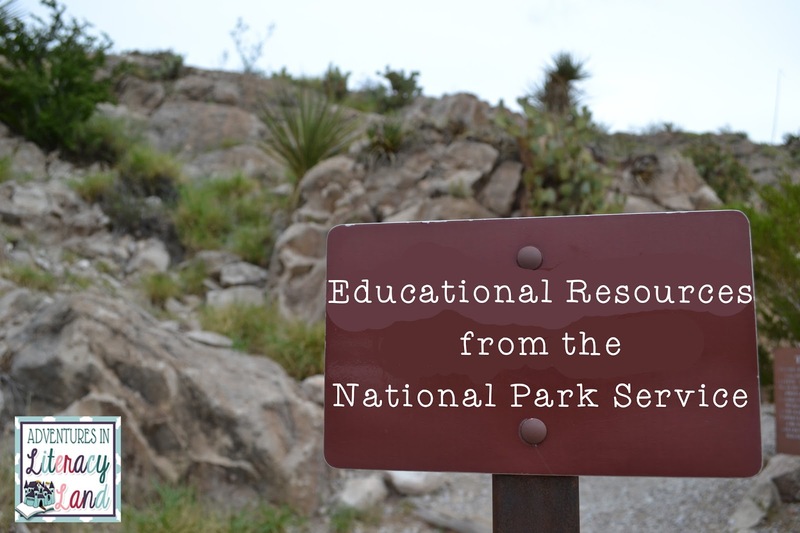 Most people know about the amazing beauty and natural resources that national parks offer, but I'm here today to share some of the educational resources too. 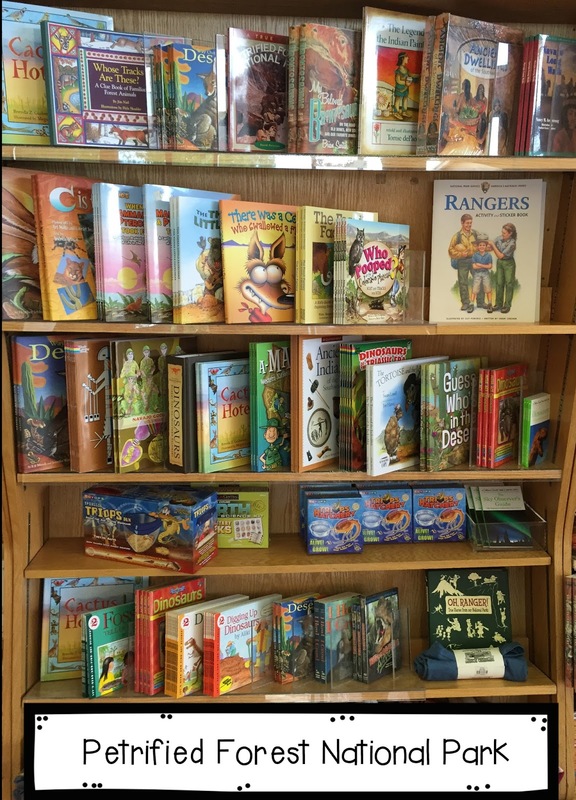 The majority of national parks have bookstores in their visitor centers. In addition to park resources, most of them have an AMAZING selection of children's books. 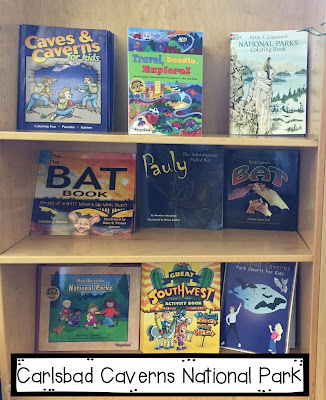 There are nonfiction books to learn more about the features and characteristics of the park. There are also fiction books related to the parks. I'm talking about quality children's literature. Carlsbad Caverns even had a book display by the elevators highlighting a few books! Some visitor centers will give you 15% off with a teacher id on some items. As with all teacher discounts it depends on the park and can change at any time, but it never hurts to flash that teacher id and just ask! If you have children of your own they can take advantage of the free Junior Ranger program. The program is individualized for each park, but it usually requires some sort of learning activities specific to the park and a junior ranger patch. You can read more about the program here. 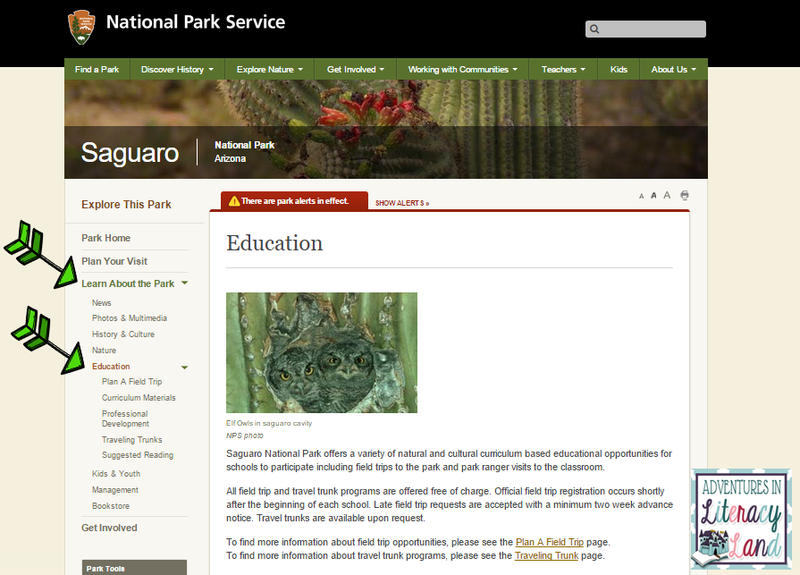 If you're not near the visitor center resources, the National Park Service also offers some great web based resources. There is a kids page as well as a teacher page where you can search for lessons and resources. You can also visit the websites for individual national parks for educational resources. Just click on "Learn About the Park" then "Education". National Parks are America's largest classrooms. Be sure to take advantage of all of the educational resources they have to offer. Do you have a favorite park or park resource that you use for education? Leave us a comment. We'd love to check it out! 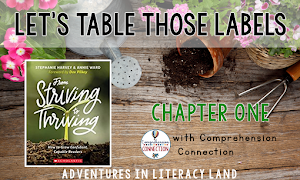 Looking for support with literacy in your classroom or at home? You are in the right place. We're a group of literacy bloggers with one goal in mind, supporting you. To find what you're looking for, simply search below.